BMT Insurance Advisors (BMTIA) is your team to handle today’s insurance and risk management challenges. BMT Insurance Advisors is an independent insurance brokerage and risk management consulting firm that builds customized insurance portfolios to suit specific needs. Designed to minimize the cost of risk, we develop an active and ongoing partnership with our clients. 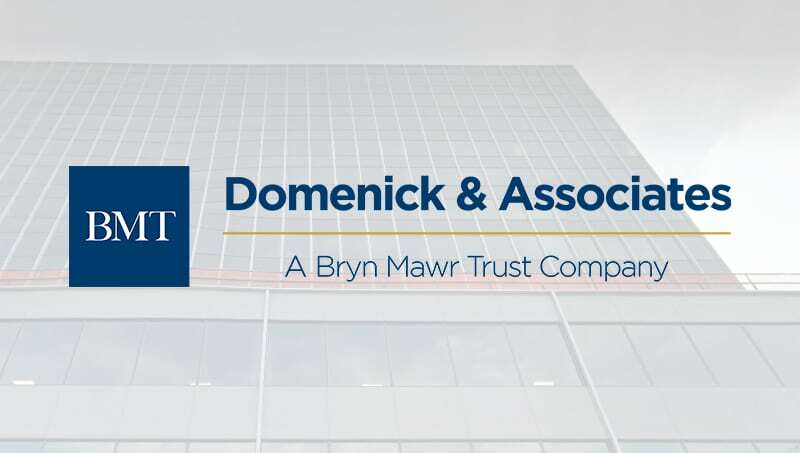 In May of 2018, Domenick & Associates was acquired by Bryn Mawr Trust. The firm continues to operate under the Domenick & Associates name, and is a Division of BMT Insurance Advisors, the Bank’s insurance subsidiary.